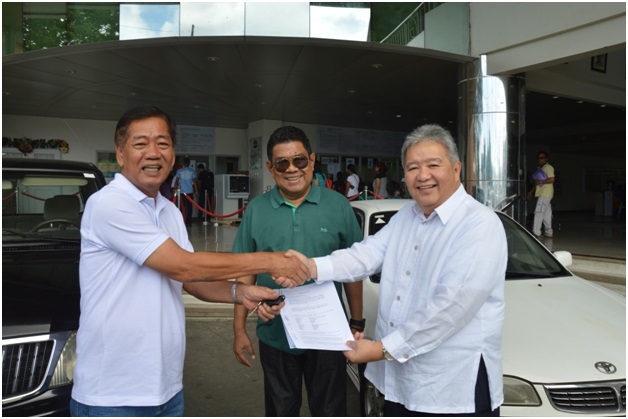 Perez (left) receives the deed of donation and the keys to the two vehicles from IRRI communication and partnerships chief Bruce Tolentino (right) as Vice Mayor Copie Alipon (center) looks on. 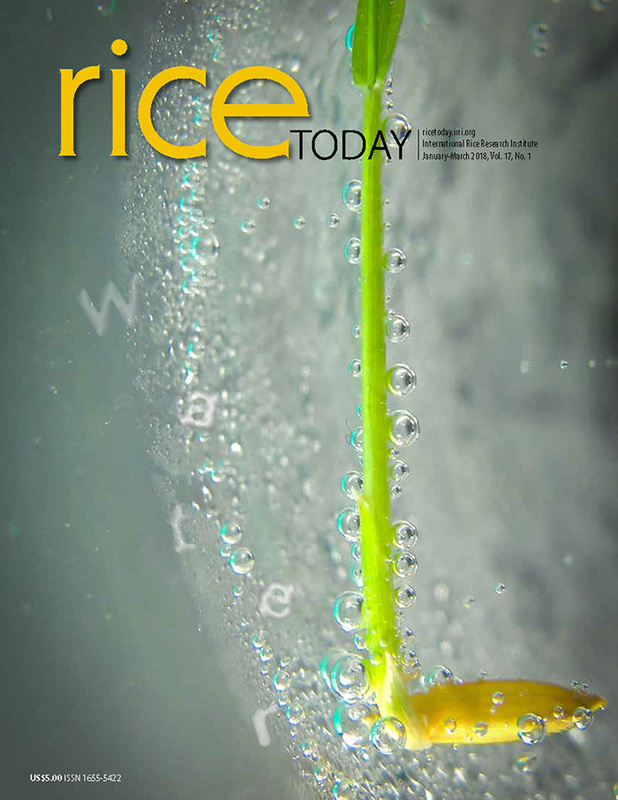 LOS BAÑOS, Philippines—Los Baños, the host community of the International Rice Research Institute (IRRI), received two vehicles donated by the institute. “One of the vehicles will be used by the local police force,” said Los Baños Municipal Mayor Caesar Perez, who accepted the units on 17 January. “Currently, our police officers use only four vehicles. This can help with their daily operations.” The other unit will replace the official service vehicle of the Mayor's office. Since 2002, IRRI has donated about 20 vehicles to the Los Baños municipal government as a way of giving back to its host community, according to Lito Platon of the IRRI Partnerships Office. In addition to the vehicle donations, IRRI conducts several community projects in Los Baños and Bay that have benefited scores of poor families and dependents. These include computer donations to public schools, training on emergency response to natural disasters, information seminars and awareness campaigns to improve the quality of life of community residents, and various livelihood projects.